The name of Red Giant is due to its grandiose size and the hints of red lichens that colour its basalt stone walls. 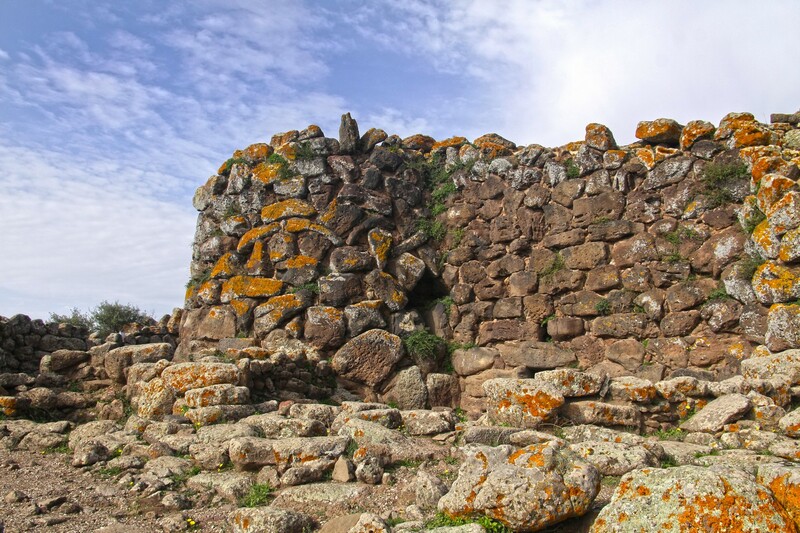 The complex of Nuraghe Arrubiu, in the territory of Orroli, stretches for five thousand square metres and consists of a central tower (fortified tower) that is 15 metres high - originally it was double this height - surrounded by a formidable bastion formed by five towers, in turn surrounded by a defensive wall with seven towers joined by curtain walls. Inside it there are various courtyards. To the southeast there is another defence wall with five towers joined by masonry. There are a 21 towers in total. 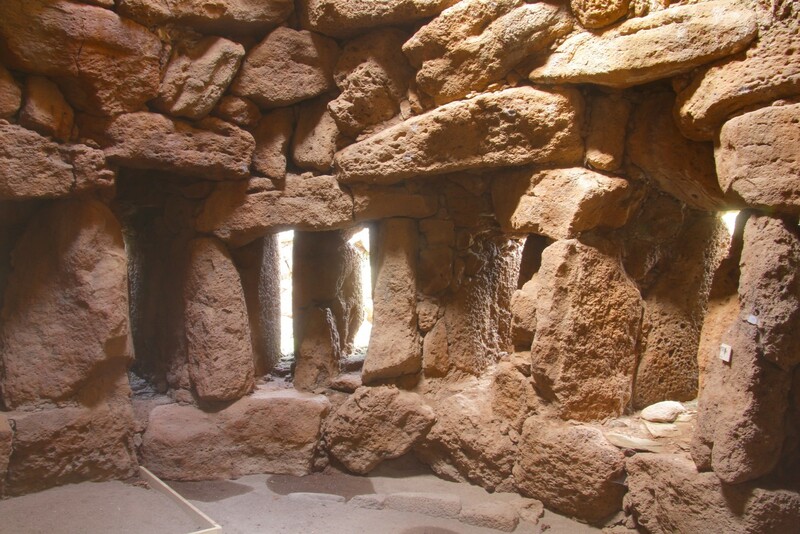 Within the fortified wall, of which the first of three floors is still remaining, by walking along a narrow passageway, you will reach the central room, that contains a fireplace and a ritual vase. The (false) tholos roof is still intact, as in some of the smaller towers. In the courtyards, platforms, cisterns, fireplaces, niches, steps, entrances, corridors and covered rooms have been unearthed. All around there are numerous remains of huts. Along the eastern side there is a large, round one: it is the hut used for meetings, with a seat along the perimeter and a fireplace in the middle. The monument 'lived' between the 10th and 9th centuries BC, in alternating phases. 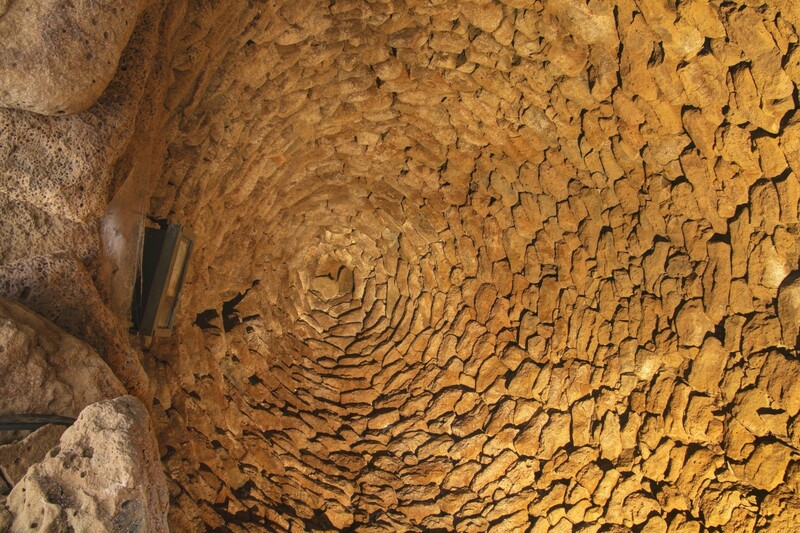 After a collapse, it remained uninhabited until the 2nd century BC, when the Romans turned it into a wine-producing workshop: two tanks and tools for pressing the grapes bear witness to this. The date and importance of the site are confirmed by the artefacts: there is pottery imported from Peloponnesus which also confirms contact, which was not sporadic, with the Mycenaean civilization. 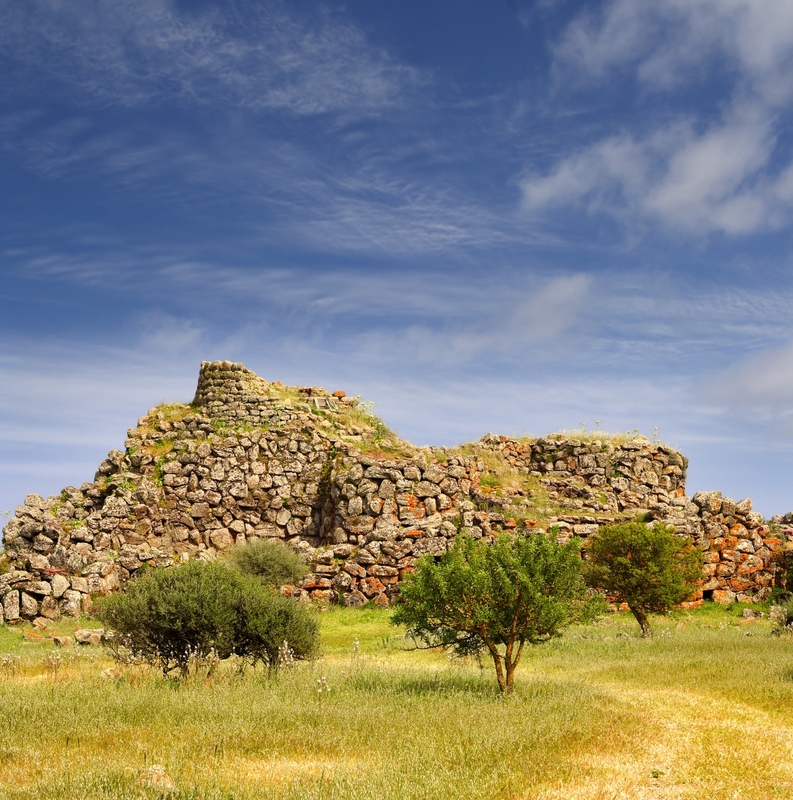 The archaeological area of Orroli is at the centre of the gentle hill of Pran' e muru, that watches over the territory along the Medio Flumendosa lake. The gorges, into which the river flowed, are now partly submerged by two artificial lakes. 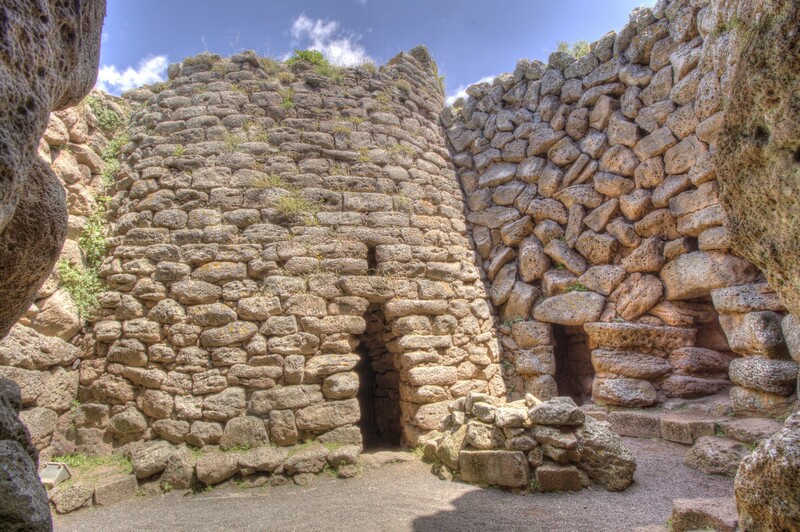 A territory deeply marked by the presence of man since prehistoric times, as is confirmed by the extraordinary concentration of vestiges from the past: from the Neolithic to the Bronze and Iron Ages to relics from the Roman Period and the Early Middle Ages. The Arrubiu was the stronghold, around which satellite nuraghi gravitated, which dominated strategic points and access roads. Near the complex, there is the Tomba dei Giganti della Spada. In the park of Su Motti, in a forest of downy oaks, there is a necropolis containing 15 Domus de Janas. 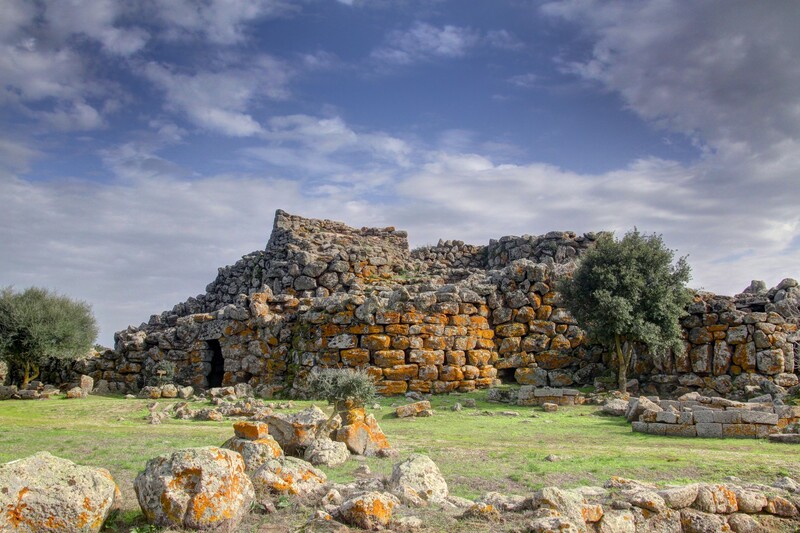 In the village, there is the House of the Nuraghe Arrubiu, a museum created out of an ancient noble residence that includes twelve rooms in which the results of the excavations in 1981 are on show.